The Phonak L427 Roger Pen Wireless Microphone for Hearing Aids is a wireless microphone pen that provides discreet sound amplification for wearers of hearing aids. It includes both omnidirectional and directional microphone capabilities to ensure that it can enhance any listening experience. How Does the Roger Pen Work? The Roger Pen Wireless Microphone for Hearing Aids works by reducing background noise and instead focusing on the sounds you want to hear. The discreet design is ideal for any situation, and once activated it picks up sound wirelessly and sends it to the Roger MyLink neckloop receiver (sold separately). This will help you target your listening so you can enjoy the audio and conversations you want to hear, rather than having to focus on too much background noise. Where Can the Roger Pen Be Used? The L427 Roger Pen Wireless Microphone for Hearing Aids provides a range of up to twenty metres, or up to ten metres when used with Bluetooth. 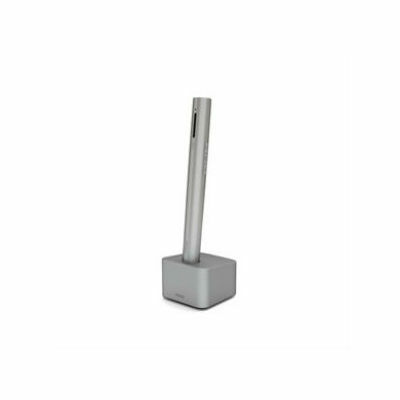 This makes it ideal for a variety of situations, such as listening to a group conversation in a meeting room or for listening to a lecture where the speaker is further away. For more intimate situations such as one-on-one meetings and conversations, the Roger Pen comes with a lanyard so that the speaker is able to wear the device around their neck. This will further ensure that the sound is targeted in the right direction for maximum sound quality. The Wireless Microphone includes both omnidirectional and directional microphones. The omnidirectional microphone will be ideal for use in situations such as when at a dinner table or in a room surrounded by people, as it draws in sound from all around you to enable you to pick up multiple voices at any one time.